This lovely holiday property is set in 40 acres of charming woodland near the owner’s house. Spend your holiday enjoying the private terrace and the shared outdoor swimming pool. This lovely holiday property is set in 40 acres of charming woodland near the owner’s house. Spend your holiday enjoying the private terrace and the shared outdoor swimming pool. The house is a renovated barn and is both spacious and wonderfully bright. 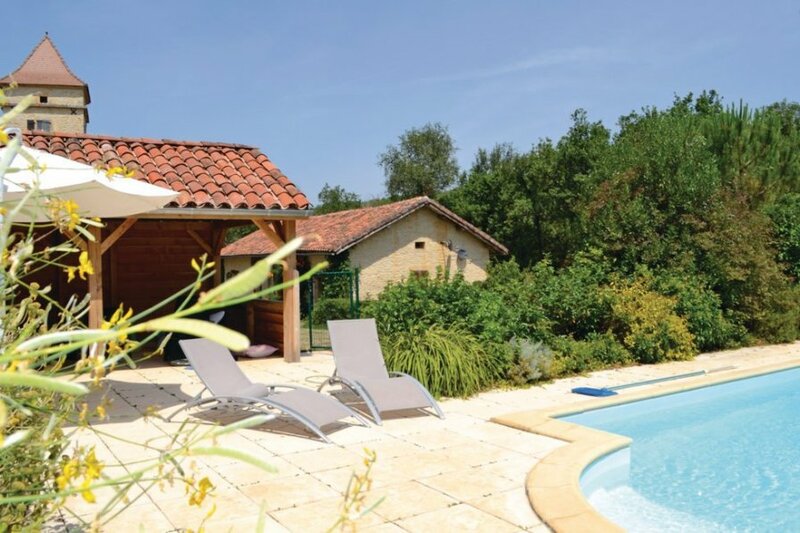 Despite the peaceful location, you will be situated right in the heart of picturesque Cahors, famous for its wines. The history lovers amongst you will become enamoured by the enchanting medieval streets of Cahors. Or just find yourself walking around the beautifulsurrounding countryside. The medieval cities of Luzech and Puy-Lévêque are worth a visit and are just a 20 minute drive away.